DSSSB Recruitment 2019 - Apply Online for 264 Asstt Engg & JE Posts in Various departments of GNCT of Delhi. 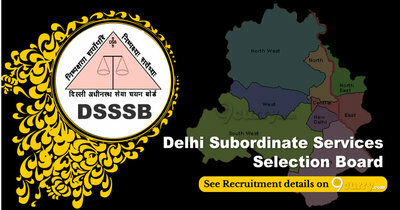 Online Applications are invited by DSSSB - Delhi Subordinate Services Selection Board from 30 Jan 2019 to 01 Mar 2019 11:59 PM for 264 vacancies. Closing Date to Apply Online 01 Mar 2019 11.59 P.M.
Pay the Examination Fee through through SBI e-pay. Degree in Electrical Engineering with Two years professional experience. Degree in Civil Engineering with Two years professional experience. The selection will be on the basis of Examination & Skill Test. Eligible candidates may apply online at DSSSB's website (direct link is given below) from 30 Jan 2019 to 01 Mar 2019 11.59 P.M.